1. Can’t find it? Make it! Tired of the same styles of jewellery or can’t find something that matches your look or personality? Making your own jewellery will free you from your endless search. The idea of making your own jewellery sounds really intimidating, but it doesn’t have to be. You can create endless sets of jewellery using basic materials and tools. Once you have the know-how, you can apply your knowledge to branch out and learn new and advanced forms and styles. When you’ve mastered basic jewellery-making, you could try your hand at learning resin or silversmithing to expand your knowledge, and your jewellery options. Creating your own jewellery can help reduce waste if you reuse materials and tools, and you can incorporate gemstones, beads, scrap metals or found items into a work of wearable art. When you’re starting your next jewellery project, you can break down or adapt your old jewellery creations into a brand-new design. Learning how to make your own jewellery will minimise the amount of money you spend on buying mass-produced jewellery pieces that end up forgotten months down the track or that end up as landfill. Do you have a partner or loved one that loves jewellery, but can’t find the design they’re looking for? Starting your own jewellery project based on your loved one’s wish list will make for an impressive and intimate present. You can even customise your jewellery to include sentimental items, favourite gemstones, colours, or engrave a personal message. With Valentine’s Day just around the corner, gifting your hand-made jewellery to your partner or spouse will make an unforgettably romantic present. Jewellery-making is a hands-on hobby that will allow you to wear your own artwork. It is so much more than stringing beads and pearls, involving fine motor skills to forge, bend, twist, drill, file and polish metals into the shape or form you want. 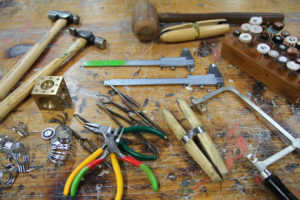 When you’re exploring jewellery-making as a hobby, you have a range of materials and techniques to keep you occupied: basic and precious metals, acrylic, ceramic, resin and more. And the more you create, the more you will learn and develop your skills. 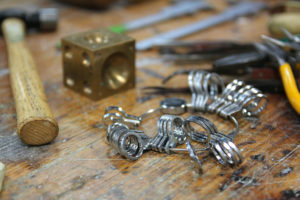 While making jewellery you will learn how to design it, discover your own personal tastes, explore your interests and bring your ideas to life while connecting with a community of like-minded learners. 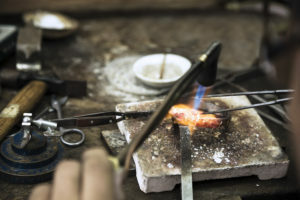 You can choose to specialise in one form jewellery such as rings or beads, or you can expand into several different styles and unique shapes such as roller-printed brooches or an embedded resin bangle. 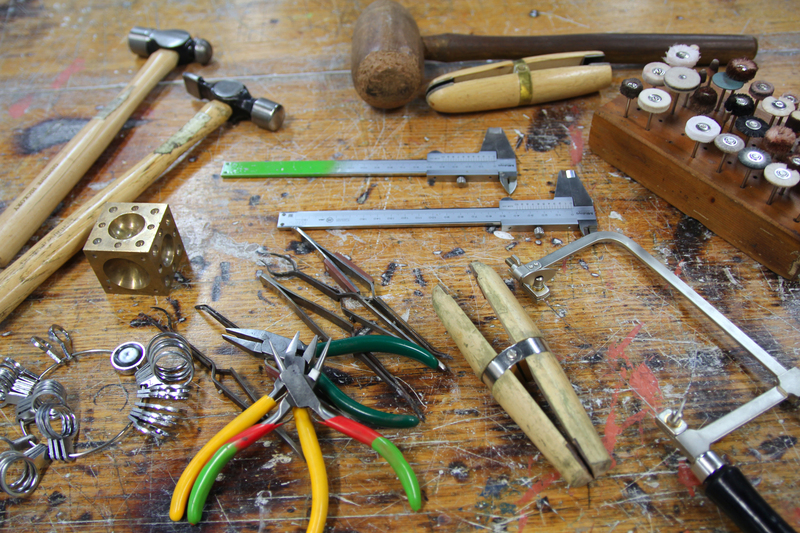 If you want to make a start with jewellery, check out our range of Jewellery & Silversmithing short courses?